G’day Roarers, let’s blast the odds with some objective Cup tips! We picked two of the top four horses in 2016, but in the end, Almandin was simply too good – kudos to those who tipped him! So let’s make 2017 a winning year. We use a numerical formula that has analysed all the Cup fields since 2004 that incorporates twenty-four key criteria to objectively assess who has the best chance to win the Cup. There is no single factor or group of factors that is expressly dominant in Cup winners. Rather, each winner has had their share of strengths and weaknesses that contributed to their overall winning chance in relation to the rest of the field. In this way, because we’re dealing with numbers, we separate the hype and hearsay from the hard truth. This method has found the most likely winning horse even if it has gone against the mainstream opinion. 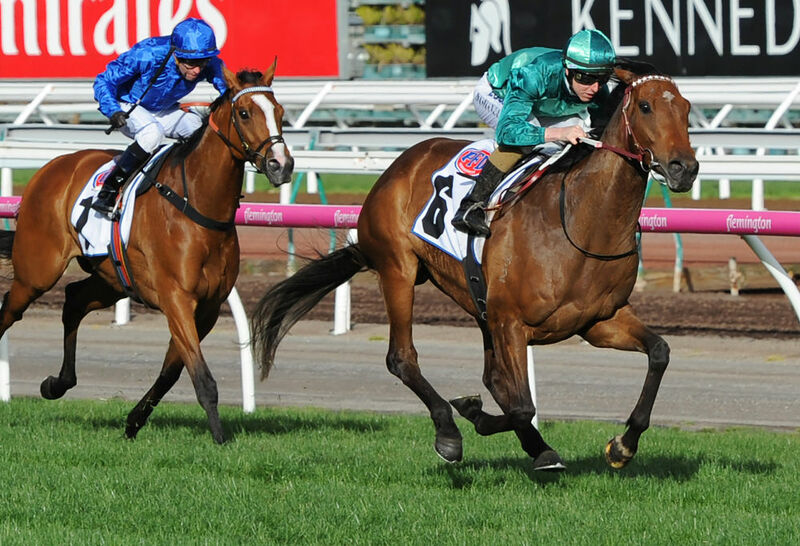 A few variables that are significant among Cup winners are having a lead-up race in Australia, being well-weighted and lightly raced, a turn of foot, and having the ability to run out the 3200m. The class of horse is also important as since 2004, 73 per cent of winners and runner-ups (19/26) have come from the higher rated top half of the field. This formula has served us well over the years in not only picking the winner but also the horses that are most likely to feature in the finish. Hopefully it will help you in your assessment in finding the winner as well. Here are the horses that the Cup formula has rated as being the top contenders compared to the rest of the field. The defending champion comes into the fold this year with 56.5kg, an increase of 4.5kg over last year’s effort. Since theoretically over 3200m, 1kg is the equivalent of two lengths, this alludes to an additional nine length handicap that he will have to overcome this year. Almandin’s form in the lead-up races has been cautiously impressive, winning the JRA Trophy over 2500m in such a dominant fashion carrying 61kg and winning by nearly three lengths. His performance in the G3 Bart Cummings however was solid, but not spectacular. His sectionals in that run were still very good, but he was heavily squeezed mid-race, which dampened his finish. Now with the aggressive and hungry jockey Frankie Dettori at the helm, has Team Williams done enough to prepare the champ into winning form again, or are the cracks in his most recent run a sign of things to come? First time Cup trainer Hughie Morrison brings Marmelo to the big time. 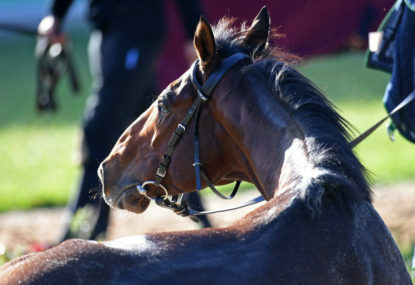 With success at the Prix Kergolay in August, his Caulfield Cup performance over 2400m was eye-catching flying from 14th position to sixth in the final 400m. This was on a track that clearly biased the leaders. This horse excels over longer distances though and his style is adaptable as he’s won not only from a leaders’ position but also from mid-field. He is weighted well at 55kgs and has a proven record over the distance. Of note is that this will be the lightest weight he has raced with since the beginning of his racing career. The only negative is not with the horse, it’s with the jockey. Hugh Bowman clearly is very talented, and his rides on Winx have been legendary. How does one evaluate his “non-Winx” rides? With the three Cox Plate wins, he hasn’t won any of the other “big three” Spring majors, and his performance in previous Cup races has been average without being stellar (2016 Who Shot Thebarman fifth, 2015 Preferment 20th, 2014 Junoob 18th, 2013 Seville 12th). Trained by Aiden O’Brien, Johannes brings class and a powerful turn of foot which was displayed to devastating effect in the Ladbrokes Stakes and the Caulfield Cup to finish in the placings. He is lightly-raced and has benefitted enormously from his lead-up runs in Australia. Some have expressed doubts over his staying ability as he seems to be more a middle-distance runner. He’s yet to win over 2000m with his last Group 1victory long ago in 2015 over 1400m. Can he last the distance and recreate that turn of foot? Winner of the Australian Cup in March and has since won the Makybe Diva Stakes in September where he bolted from last to first in the final 800m. Tough and classy horse trained by Darren Weir, who gave Winx a real fright in the Cox Plate. He receives a 3kg weight relief since that astonishing performance. The negatives with Humidor, like Johannes, revolve around his staying ability. He has never travelled over 3000m. He’s also had six races already this Spring and may be over-raced and burnt out. As we know he can be quite temperamental, hence the need for the added gear changes. Another international horse with a great turn of foot in the Herbert Power Stakes to finish second and is now a certain starter in the Cup field after connections took a big gamble leaving him in the late twenties order of entry. Gets more weight relief in the Cup dropping 5kgs. Overseas he has also run over 3000m. Has not won a race since September 2016 and that was not a group-listed race. His runs here were placings in Group 3 races. His pedigree also does not suggest he is a champion calibre stayer. The best lightweight chance he definitely has momentum on his side while being in Australia and he should feature in the finish. In an open race this year, Marmelo is a quality horse that ticks many boxes. Would not look out of place as the Cup winner. Good luck Roarers, and may the winning horse be with you!